Yes, Virginia, there is a war on Christmas. No, it is not happening right after Halloween when the self righteous do not like the design of disposable coffee cups. By that they only admit not to prepare for their coffee runs by bringing a reusable travel mug. No, the actual war on Christmas is going on right now, between Christmas and Epiphany. Most of our neighbors had their decorations down by December 27th. The Christmas radio station disappears as soon as Christmas begins. Virginia, that is where the war on Christmas is real. In America there is confusion to when Christmas is happening. Many people and businesses confuse the holiday season with the Christmas season. Christmas is a church service: It is the Mass celebrating the Birth of Christ, short Christ-Mass. Since the 5th century Christians have celebrated the birth of Christ this time of year. Leading up to Christmas is the liturgical season of Advent. 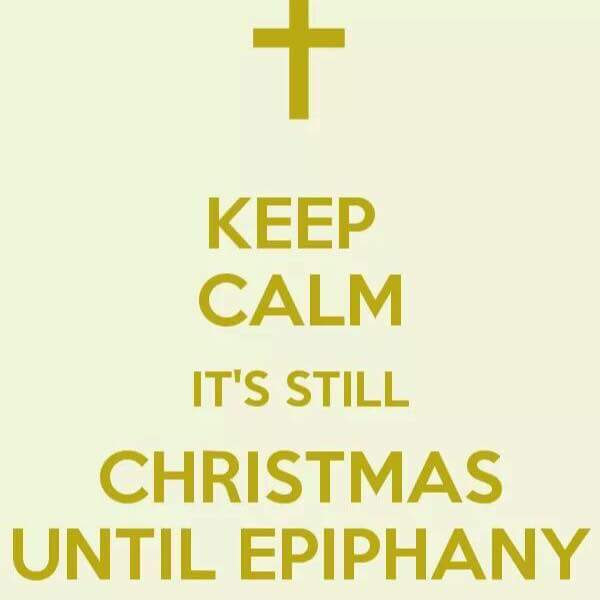 Christmas does not start until after Christmas and it goes on for 12 days all the way through Epiphany on January 6th. Whoever insists on saying “Merry Christmas” before then is waging war against one of Christianity’s most important holidays. How did all of this come about? Well, in America we have a thing called the holiday season. It is the period of time from Thanksgiving until New Year, including such festivals as Christmas, Hanukkah, and Kwanzaa. That is where misunderstandings happen: Most major religions have their festival of light this time of year from Hindu to Jewish and Christian. And the retail industry loves this time of year. The cultural commercial holiday season is there to lead up to and support people in celebrating whatever their faith holds dear. The greeting for the season is “Happy Holidays” because it celebrates a variety of wonderful occasions. As a Christian I indulge in both, the civil holiday season and the liturgical Christmas season. Not everybody knows that they are distinctly separate things and you will always find the terms used interchangeably. But it is my job as pastor and teacher to remind myself and my readers that, yes Virginia, please leave your lights and decorations up until Epiphany. And you, FM 99.1, please play Christmas music not only during Advent but also during Christmas!